A dress up day with a difference! Your school, class or team can make life-changing wishes come true by holding a fundraising day with a difference. Register your school or organisation's event - and get instant access to our fundraising toolkit to guarantee your Wear What You Wish Day success! Pick a date and invite kids to dress as what they wish to be when they grow up - or grown ups to dress as whatever they once wished to be! Collect donations from everyone who takes part - it's a small price to pay for fashion, imagination and reinvention! 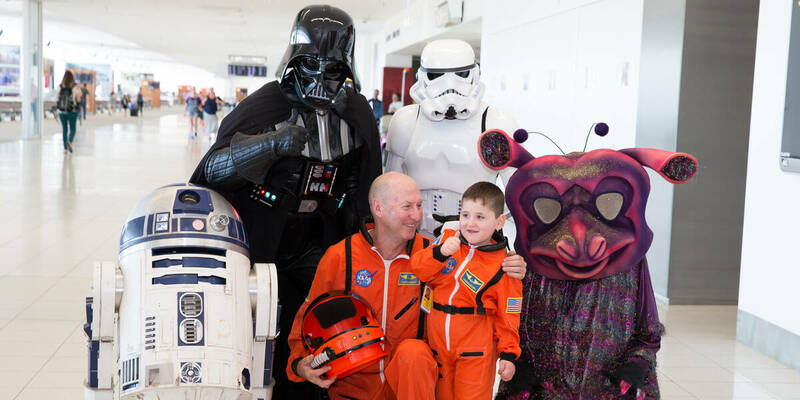 Don't forget to bank your funds raised - every donation helps us grant more life-changing wishes for sick kids across Australia. When kids dress up, they transform – taking on the powers of their favourite superhero, the bravery of a pirate, or the skills of a star athlete. In much the same way, focusing on their wish helps sick kids to stop seeing the world through their limitations and start thinking about the possibilities. Register on behalf of your school, club or team to access our fundraising toolkit - full of great resources to make your Wear What You Wish day a huge success! Abigail, 6, cystic fibrosis - I wish to go to "Unicornland".